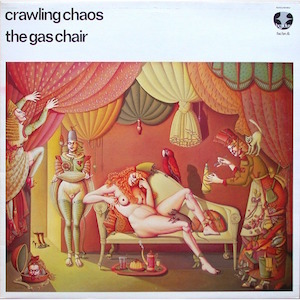 Notes: Original album title: 'The Gas Chair Clown'. FAC BN 6 was originally allocated to a 'Manhattan Project' (see also FBN 4), according to an early Factory Benelux releases poster. The same poster originally had this release allocated to FAC BN 7. And according to a shareholder's statement: "Blurt; "Live in Berlin" 10" 33rpm 8-tracker..if they can find the Tapes...the last time they saw them..........."